This redwood Folk Victorian was built in 1897 as the city’s first church and renovated by the Historical Society between 1997 – 1999. The Society received the 2001 Governor’s Historic Preservation Award for the project. The two-story museum is open Saturdays, 11 a.m. – 2 p.m., and weekdays by appointment for tour groups. Admission is by donation (free for children 12 and under). 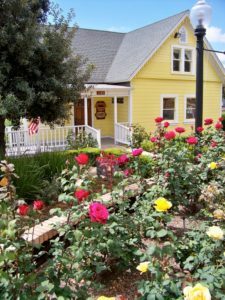 The Parsonage Museum is located in Lemon Grove’s Civic Center Park at 3185 Olive Street, Lemon Grove, California.